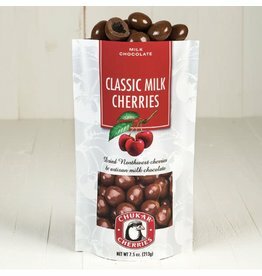 Chukar’s very first confection, Classic Milk Cherries have been delighting fans for over 30 years. Dried Bing cherries with ultra dark chocolate dusted in cocoa. Ultra dark chocolate finished with bittersweet cocoa balances the sweetness of dried Bing cherries. 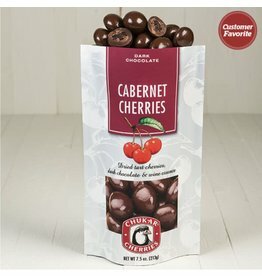 Dried Montmorency Tart cherries coated in dark chocolate with bold wine essence. Excellent when paired with a Washington red wine. Pair with a Northwest wine for a hostess gift that's sure to be appreciated. 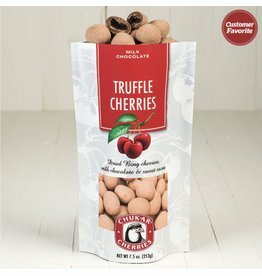 Plump dried Bing cherries surrounded by milk chocolate with pure cherry essence. 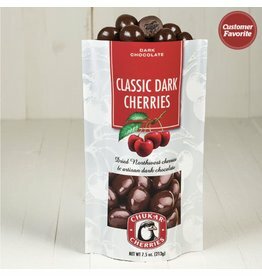 The burgundy hue of these chocolate-covered cherries makes them gorgeous on a dessert table. 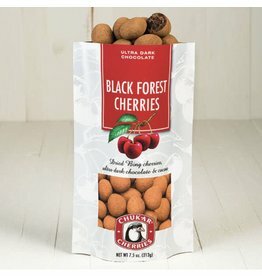 Northwest-grown dried cherries dipped in artisan dark chocolate. We dry our locally grown cherries without sulfites or preservatives. Tender and naturally sweet, they partner well with dark chocolate. 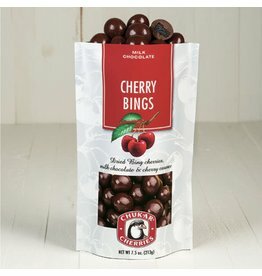 Dried Bing cherries dipped in creamy milk chocolate with a sweet cocoa finish. A naturally dried Bing cherry replaces ganache in this innovative confection. 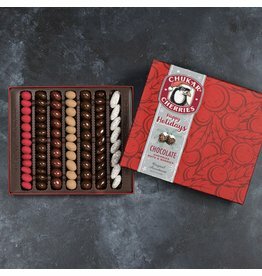 A holiday essential—our 7 best-selling chocolates in a playful holiday gift box.